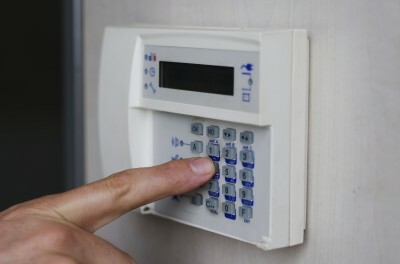 A home security system can provide several benefits for your Maryland home. However, if you have never used a home security system, you could have several questions about the system and how it works. There are often times when Maryland homeowners forgo installing a new home security system because they have questions but aren’t sure who to ask. Here are some commonly asked home security system questions that many Maryland homeowners may have. Which doors and windows should be protected by my home security system? Any door and window that can be accessed should be protected with your system. Windows that are on the third story of your home don’t necessarily need to be covered by your home security system, but that is up to the preference of the homeowner. Should I use a wireless or a wired home security system? Which system you choose is based on your specific needs. There are pros and cons with both systems, so it is important to determine what you want from your home security system and then look at both systems to make your decision. It is good to keep in mind that a wired system will require a more involved installation process, which makes it best for a home you plan on staying in. A wireless system is best for a home that you plan on selling soon. However, a wireless system can be interrupted by different waves, like from a cell phone. What is an EOL resistor? An EOL resistor is also known as an “End-Of-Line” resistor. The main function of an EOL resistor is to supervise the wiring in between your switch and alarm panel. Integrated Technologies Group has been providing the residents of Maryland with quality home security systems for over a decade. Along with offering a home security system for your Maryland home, we also offer home theater services, home automation services, and central vacuum services. Integrated Technologies Group now provides the states of Maryland, Pennsylvania, Virginia, Delaware, and West Virginia with home security systems. This entry was posted on Wednesday, January 7th, 2015	at 7:09 pm	and is filed under Home Security, ITG, Services Offered	. You can follow any responses to this entry through the RSS 2.0	feed. Both comments and pings are currently closed.